Tonight I decided it would be a good idea to ride out to Simpsons Gap after work and heat up dinner while watching the sunrise. I often have ideas like this but rarely follow through due to my annoying sense of something. Luckily the warm sunshine, mild breeze and beautiful sky convinced me that it would be worth the effort of packing up a stove and some leftover lasagna on the bike and heading out. What followed was one of the most enjoyable after work rides I have ever been on, and believe me there have been lots. Like I always I didn’t get a photo of myself cooking dinner, but below are some of the shots I grabbed on the way out there. 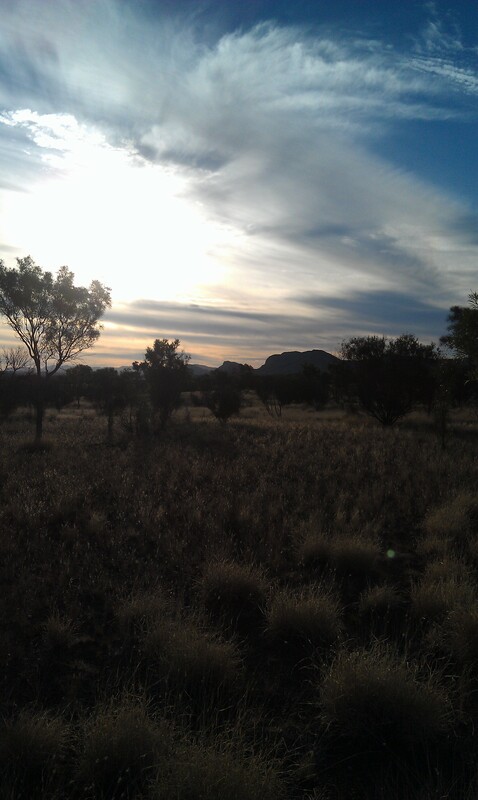 The start of my ride out to Simpsons Gap for dinner. You can tell it is a perfect day! 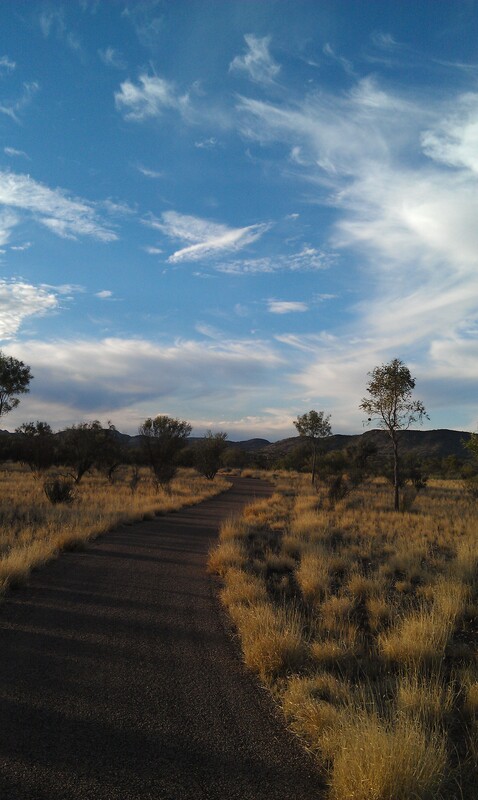 It is just so nice out here in the afternoon. A Perente decided that I was going to take a break. 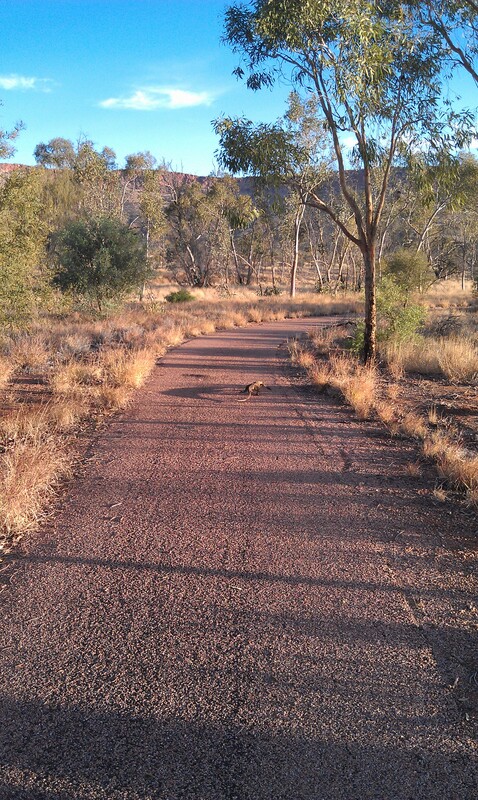 This metre long goanna sidled down the middle of the track for 10 minutes while another rider and I watched its complicated movements. 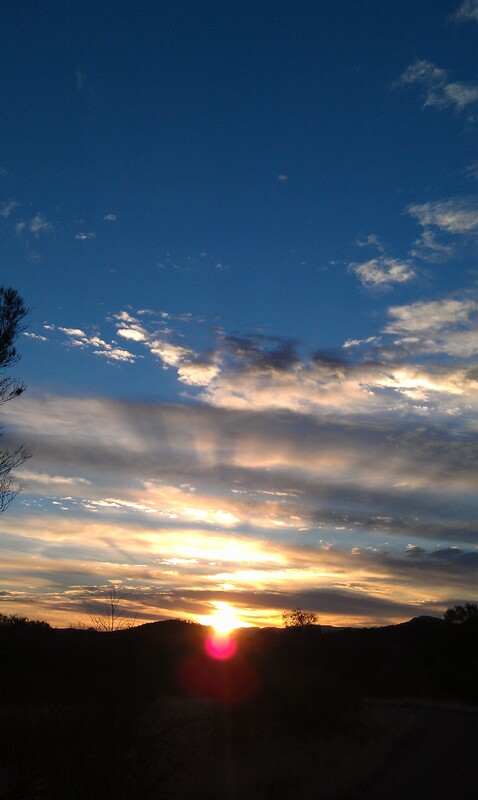 The last rays of sunshine lighting up the clouds and ranges. 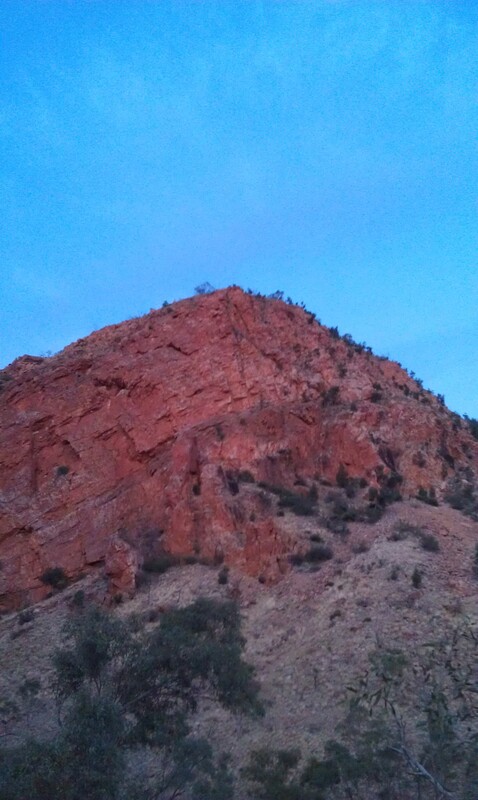 The West MacDonnell Ranges put on a great show at sunset. 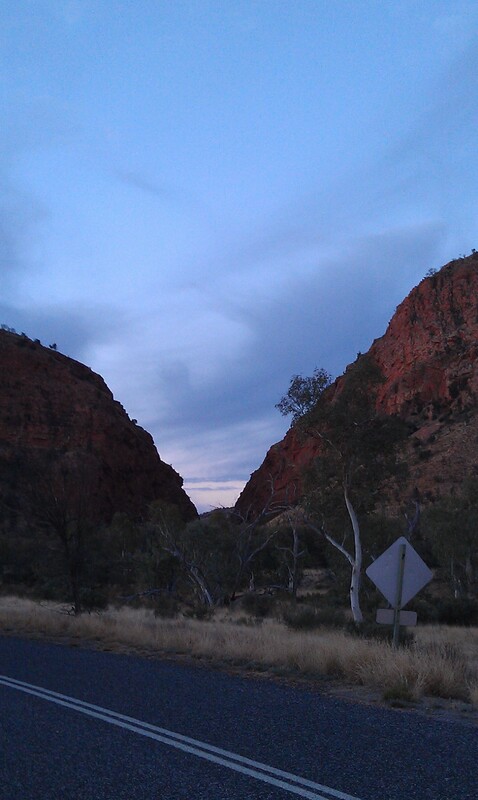 Simpsons Gap as the light fades. In there is where I ate dinner. 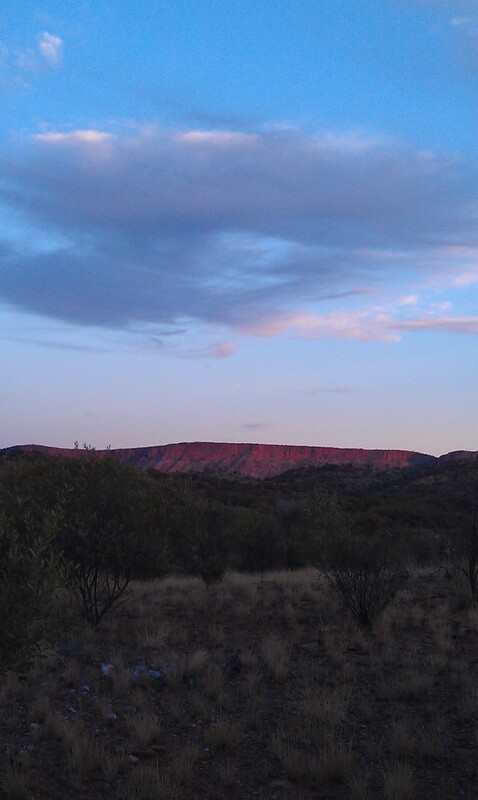 The photo doesn’t do it justice, but watching the sunset making the southern face of Simpsons Gap glow has to be one of the best dinner views around. wow!!!! how beautiful. Can’t wait to get out there next March!